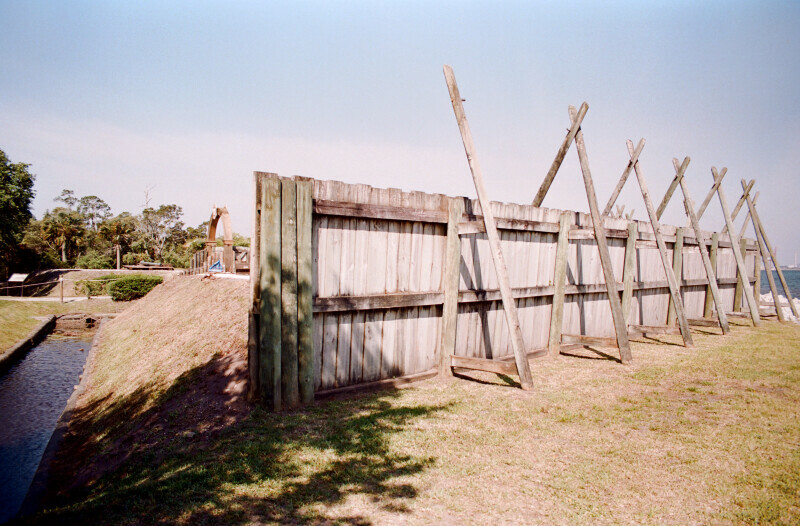 This picture shows a wooden fence that is part of a reconstruction of the 1564 French Fort Caroline. The original site of Fort Caroline has not yet been determined. WARNING: You are about to download a 67.0 MB TIFF!